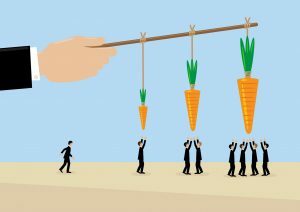 How to Take Charge of Business Incentive Programs | HPM Associates, Inc. Your company may already have an incentive travel program in place, but is it working the way it should and getting results? For many organizations, the answer is no. Does your incentive program cost more than the bump in sales it generates? Make sure that having an incentive program is a net financial gain for your business. A little healthy competition is a good thing, but too much can actually harm your employees’ morale. An easy way to address this is to reward teams rather than individuals, to encourage employees to collaborate and work together. Incentive programs don’t work unless they include clear goals and rewards. Make sure your employees understand their targets and potential rewards from the get-go. You’d be surprised by how many organizations have incentive programs that their employees don’t know much about. Use internal marketing (email, social media, in-person meetings) to make sure your employees are aware of your incentive program and are motivated to participate. Want to set up an incentive program that will motivate your employees to work hard and get the business results you want? Get in touch with HPM Associates. For almost 40 years, the professional group travel experts at HPM Associates have developed incentive travel programs that work for organizations of all types and sizes. Contact us to find out more!